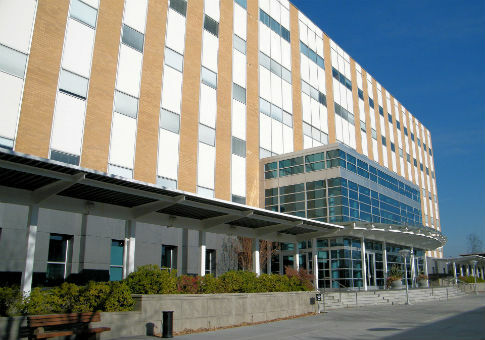 Department of Motor Vehicles headquarters in Sacramento, California, one of 10 states that issue driver’s licenses to illegal immigrants. Ten states and the District of Columbia now issue driver’s licenses to illegal immigrants as of the summer of 2015, according to a report from the Pew Charitable Trusts. California, Colorado, Connecticut, Illinois, Maryland, Nevada, New Mexico, Utah, Vermont, and Washington, as well as Washington, D.C,, issue driver’s licenses to illegal immigrants. The states are estimated to have an illegal immigrant population of 4,120,000 combined. The report says that nearly 37 percent of illegal immigrants live in an area where they may obtain a license. The decision to allow illegal immigrants to obtain driver’s licenses is made at the state level and debates about issuing licenses often address the impact on public safety, insurance, and accident rates. For instance, many states reported that applicants had difficulty passing written tests and needed to take them several times before they did so. Illegal immigrants are undocumented, which raises the specter of fraud; some holders might have used false identities, addresses, or documents to obtain their licenses. In addition to public safety and fraud issues, there are also higher costs associated with offering these licenses. "The number of potential applicants affects staffing and facility needs, license processing and issuance, and expected costs and revenue," states Pew. "The cost of new personnel was the largest anticipated expense." The report found that California, Illinois, Connecticut, Maryland, Colorado, Nevada, and the District of Columbia created an additional 1,039 positions because of the policy. "California’s fiscal summary estimated costs of approximately $140 million to $220 million and application fee revenue of approximately $50 million over three years," states Pew. "The state’s 2014-15 budget allocated $67.4 million to issue licenses to unauthorized immigrants and included a mechanism for increasing funding if the number of applicants proved unexpectedly high." States also must factor in costs associated with changes to computer systems and programming to allow for this new policy. "Colorado reported that it undertook major programmatic and computer system changes to be able to accept new types of documents," Pew states. "The state’s fiscal note estimated a one-time information technology cost of over $425,000 to reprogram its computer system." This entry was posted in Issues and tagged Fraud, Illegal Immigration. Bookmark the permalink.